Slow-cooked beef & lamb gyro -with lettuce, tomato, and onion. Topped with our homemade tzatziki sauce and served in a freshly toasted pita. Slow-cooked beef & lamb gyro -with sautéed onions, bell peppers, and provolone cheese. Served in a freshly toasted pita, with our homemade tzatziki sauce on the side. Slow-cooked beef & lamb gyro -with our signature blend of jalapeños and cayenne pepper sauce. Served in a freshly toasted pita with our homemade tzatziki sauce on the side. Fresh premium beef -with mayo, lettuce, tomato, onion, cucumber, feta cheese, and our signature mild Harissa sauce. Fresh premium beef -with mayo, lettuce, tomato, and onion. Topped with American cheese, gyro meat, and our homemade tzatziki sauce. 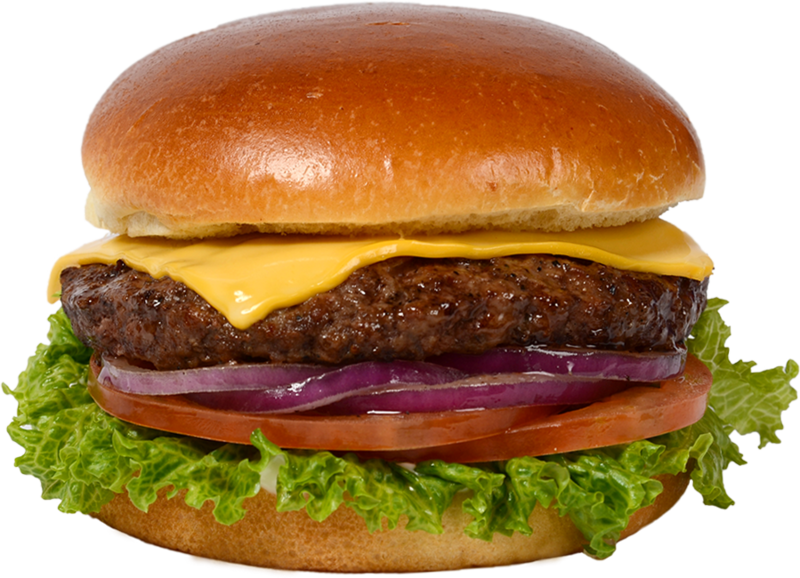 Fresh premium beef -with mayo, lettuce, tomato, onion, and your choice of American, medium Cheddar, or provolone cheese. Vegan burger - with vegan mayo, lettuce, tomato, onion, and our signature Blue Village vegan sauce. For a limited time only, make it an Impossible Burger™ - at no charge! Crispy-crunchy shrimp -with tartar, tomato, and onion. Topped with our Blue Village sauce and served on a freshly toasted hoagie. Fresh, never frozen thin-sliced steak -with mayo, onion, and bell peppers. Topped with melted provolone cheese and served on a toasted hoagie. Premium thin-sliced chicken breast or tenderloin -with mayo, onion, and bell peppers. Topped with melted provolone cheese and served served on a freshly toasted hoagie. Grilled chicken breast or tenderloin -with mayo, onion, and tomato. Served on a freshly toasted hoagie. Three white-meat chicken tenders deep-fried until golden brown and crispy. Served with french fries, toasted garlic bread, and a side or ranch or honey mustard dressing. Romaine, feta cheese, olives, red onion, sun dried tomato with your choice of French, Italian, or olive oil vinaigrette on the side. Romaine, tomato, red onion, croutons, grilled chicken breast or tenders with your choice of French, Italian, or olive oil vinaigrette dressing on the side. For Kids age 12 and under. All kid’s meals come with carrot sticks, applesauce, and a small organic juice. Slow-cooked beef & lamb gyro served in a freshly toasted pita with tzatziki sauce. Garnished with lettuce and tomato, and topped with American cheese. With white meat chicken tenders that are grilled to perfection. Warm, melted Cheddar cheese sandwich. Lunch meeting? Football party? Sports event?